In basic terms, a link is a connection from one destination to another one. When it comes to online content, however, there’s a bit more to links than just establishing connections. Links aren’t anything new. However, they’re still needed to direct the right traffic to your website and establish the credibility of your content. But why do links matter? First of all, Google considers links a sign of relevance and authority. In a nutshell, they feel that if a reputable website is linking back to one of your content, there must be something there that other visitors will also want to see. In fact, link quality is one of the top ranking factors considered by Google, according to most SEO experts in the know about such things. The 445 Media team agrees. With SEO, the quality of external links (those that point back to a site) are often given the most emphasis. Internal links (those leading visitors to a website to other content within that same site) are equally important since they also play a role in the user experience. And user experience is another factor that matters to search engines like Google. For the purpose of ranking, search engine crawlers analyze links to see how pages are related to one another. Whether you’re new to the world of links or you’re just looking to brush up on what you already know, take a moment to explore some of the finer points of links and link building. Even before Google existed, links were viewed as a vote of popularity online. Today, link building is considered of the fundamentals of SEO in that it’s a process anyone doing business online should include as part of their SEO strategy. No, link building isn’t everything when it comes to SEO. 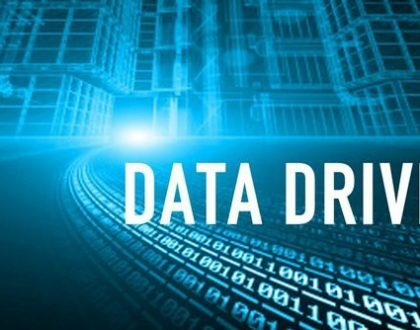 But all leading search engines, most notable Google and Bing, have algorithms that factor in link-related data, so it’s clearly a top SEO ranking factor. Links aren’t just a sign of authority for search engines; human searchers also view links that come from reputable websites as a sign that a site is trustworthy. Links also have the power to expose your content to a wider audience likely to be interested in what you have to offer. Link building is an art form that involves several considerations. For the purpose of simplicity, let’s break down link building into three basic types of link acquisition. These are links freely given from a site that wants to link to yours because of your content. To get these links, you’ll need great content and a knack for prompting it. For this method of link building, you’ll need to reach out to bloggers via email, submit your site to directories, or pay for listings. You’ll need to clearly explain what you offer to make a compelling case for linking back to your content. These non-editorial links are the ones visitors can create with guest book signings, blog comments, forum signatures, or user profiles. These really aren’t the kind of links you want to strive for since they have the lowest value. Most search engines consider these links kind of “spammy,” so they shouldn’t be pursued. The most important part of the link building process is content marketing, a broad term that encompasses the type of content you produce and how you distribute it to your intended audience. 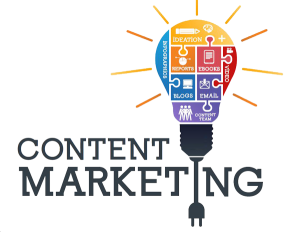 There are many type of content that have the power to effectively encourage links from reliable sources if the right content marketing strategy is used. With any type of content you present online, be consistent with your messaging. Doing so will help people form an association with your brand beyond what services and products you offer. Also, you’ll likely attract more links as your brand’s message becomes clear and known to your audience. No matter what type of content you produce, it’s not going to attract the right kind of attention for link building purposes without the right keywords. Have a good idea of what specific keyword terms you want to associate with your links. Don’t always go for the most popular terms related to your website’s content. Strategically using keywords that are a bit more unique can still allow your content to get noticed. Do some keyword research to find out what pages are already ranking for your keywords. For instance, if your site is all about doggy daycare services see what sites are already ranking for keywords related to those services and strive to earn links from those pages. Use emails, your blog, your social media posts, and even text messaging campaigns (when appropriate) to promote your content online. A cross-promotional, multi-platform approach to content marketing boosts your link building potential by presenting your content to a wider audience. 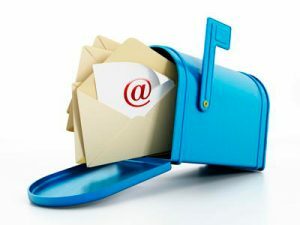 Email outreach is a common technique to use to attract more inbound links to your site. Get started by identifying sites or online publications you wish to target to secure a link back to your website. First, have the right perspective with email outreach. You’re pitching your content to individuals who may want to share it with their audience, not begging for links. An easier way to reach out to potential sources of links is by using an email template. There are many to choose from, so you should be able to find one that fits your style. Even if you are using templates, never resort to sending mass emails with the exact same message for every recipient. First of all, this is really spammy. Second, you’re not likely to get the desired results anyway. Instead, use your preferred template as a guide and personalize the emails you’re sending to get links. Is the recipient someone you’ve never contacted before? Then give a brief introduction of who you are and what type of content you would be to offer for their readers. Just because you’ve reached out to a recipient before to comment on their posts or say “hi” on social media, doesn’t mean they’ll instantly recall you. Take a brief moment to reintroduce self to remind them of who you are. There’s something to be said for the art to schmoozing. Make it clear to the recipient that you’ve actually taken the time to check out their blog by mentioning a few of the posts you really liked. If you’ve collected some interesting data that might be useful to a recipient, include an offer to allow the blogger to have exclusive access to it on their blog. If your aim is to attract the attention of top-level bloggers in your niche likely to have full inboxes, this can be an effective way to do it. Do some research and present an interesting fact your recipient may not know as your intro. If you’re able to teach your recipients something new, they’ll likely see the potential value of linking back to your content. Active bloggers really connected to your niche usually don’t mind offering some feedback. This is also a smart way to get recipients to start exploring your content. Take the time to edit your emails to avoid errors that may distract from your intended message and be direct with your subject lines to increase the odds of getting your emails not only seen, but opened. As for follow-ups, we all get busy, so it’s okay to send a brief follow-up email. But as a general rule, you shouldn’t follow-up a pitch more than twice. Ideally, your focus should be on high-end link building. This mean you’ll be going for quality, and not quantity. Not only will this increase your odds of snagging links from reputable authority sources, it will also keep Google happy — everybody wins! High-end link building is a process that involves the following approaches to generating links. Before making a pitch for links, earn a reputation as a source of content that’s likely to appeal to the readers of the blogs you want linking back to your site. You can even draw from impressive facts and figures from your own content to show why it would be a good idea to link to your content. If you want quality links, you’ll need to consistently generate quality content. You’ll also need a solid strategy in place to promote it (e.g., email campaigns that direct recipients to your site, social media posts that steer traffic back to relevant content on your site or within your blog). Influencers are people within your niche who have a large group of followers likely to pay attention to their recommendations. Reach out to influencers by sending them helpful articles likely to be of use to their audience. Focus more on engaging them rather than just asking for links. 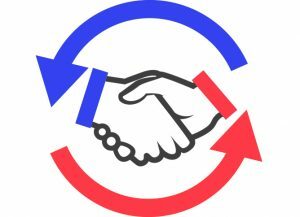 The thing is that you’ll likely end up with links anyway if you take the time to build mutually beneficial relationships first. Keep up with what’s trending in your niche or industry and produce content that’s centered around those topics. This can be an effective way to get quality links since trending topics often get more traffic. Set up Google Alerts so you’re automatically informed of what’s trending that’s relevant to your business. Is there something big going on with your business that’s newsworthy? Send out press releases that include links back to your site. Influencers are often searching for new stories likely to be of interest to their audience, so they might check out your press release and see the link back to your site and include it within their content. Another option here is purposely send out a press release to your target influencers before it’s made available to everyone. Maybe even let them break the story to score some extra brownie points (and potential links). There are probably more link building opportunities available to you than you may realize. If you’re not already an expert within your niche, take some time to research it to get an understanding of what type of sites, directories, and blogs are likely to be relevant for your industry or specific niche. The more entrenched you are in your niche, the more likely it is that you’ll know where to focus your attention to get quality links. Black hat link building simply refers to any link building strategy that falls outside of acceptable search engine guidelines. Such strategies may help you get links, but the practices involved might get you penalized by Google and other leading search engines. Some of the following techniques are technically “gray hat” in the sense that techniques classified this way aren’t exactly a no-no, but they are still considered risky. Just randomly guest blogging may get you links. However, odds are good a majority of those links will either be from questionable sources or from blogs that don’t exactly fit in with your content. Using this technique as a link building shortcut may also get you penalized. With this technique, a chain of site users creates private blogs to boost their important sites by generating links for those sites. In order to do this undetected, accounts will need to be created for different registrars and accounts with fictitious data. You may be able to get away with this, but is it really worth the risk of possibly being busted by Google? This one is gray because repurposing content in many different forms can actually be an effective white hat technique if done correctly. The potential problem here is that you could get duplicate content penalties if you repurpose your content without bothering to change it at all. As is the case with guest blogging, it is possible to get carried away with directory submissions. If you’re picking and choosing quality directories that fit your niche or business category, then you’re all good. If you’re randomly targeting any and all directories, however, this is a bad strategy. Some website designers or SEO specialists with multiple clients will sneak links to their clients’ sites into footers. Technically, this is frowned upon, but it’s still done. Also, Google has already said that links in footers from one site to another aren’t given all that much consideration. 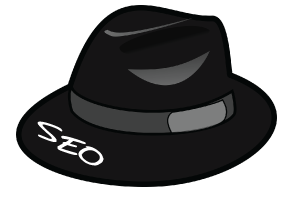 Negative SEO is the ultimate black hat technique. 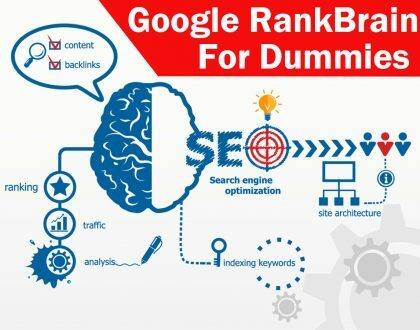 If you resort to this link building strategy, you’ll be actively attacking your competitors’ rank by buying a bunch of poor quality, questionable, or downright spammy links and pointing them at your competitors’ sites in an effort to boost your ranking and visibility. This is a strategy that’s never recommended for obvious reasons. With any black or gray hat link-related strategies, there is some risk involved. Ultimately, you’ll be better off if you focus on high-end (a.k.a. quality) link building strategies that fit within search end guidelines. Using link brokers to acquire links is one of those gray areas in the world of link building. It’s not a technique that’s strictly forbidden. Yet it does present certain risks. Specifically, link brokers are websites used for the purpose of buying and selling text links. The sites don’t really “sell” links. Technically, they are leased, usually for a monthly fee. The site takes a cut of the fee that’s paid to use the links. The appeal of brokered links is the ability to quickly get links pointing back to your site. In theory, this should give your site’s visibility a boost. Quality is the main concern with brokered links. Oftentimes, many of the links aren’t contextual, meaning they’re not all that helpful as far as search engines and human searchers are concerned. Also, many links purchased this way come from low quality or questionable sites. Link building shouldn’t be your main link building strategy. While taking other more acceptable steps to acquire links may be more time-consuming, you’ll benefit more from making quality your top priority with links, not quantity. One way to build links is to take advantage of the popularity of easily digestible forms of visually presented data known as infographics. 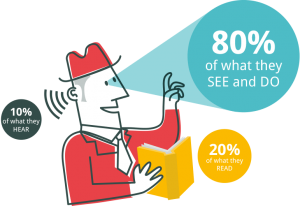 It’s not really much of a surprise that infographics can help you acquire links since searchers tend to gravitate towards visually presented content. So, how do you make infographics work for link creation? *If you sell cars, you might take a story on EPA rule changes pertaining to vehicles and create an infographic that discusses “5 Ways EPA Changes Will Affect How You Drive”. Once you know the main topic for your infographic, the next step is to collect as much data as you can. Don’t worry about organizing it too much, just get as many relevant facts and figures related to your infographic topic as you can. This is where you organize your data into a beautiful presentation of attention-grabbing facts. You’ll likely be working with a Web designer or graphics specialist to create images to match your stats. Try to create a visual design that’s relevant to your data. For instance, an infographic about common sources of energy efficiency in a home might actually be shaped like a house. Add a compelling headline to your infographic that clearly states what’s being presented. Naturally work in some of your keywords to further boost the visibility of your infographic. With the right infographic, you could attract a steady flow of quality links. Just remember to check the links you are getting to make sure they are from relevant, reliable sources. Link builders tend to love .edu and .gov links. While there is no clear evidence search engines give these links any special preference, they are appealing because many of these domains have age, trust, and authority — three things that really matter with links. If these links are right for your needs, there are some ways you can go about attracting the attention of these domains. Surprisingly, many universities and government organizations now have blogs accessible from their sites. One of the easiest ways to attract attention with these domains is to jump into conversations on blogs or share your thoughts on various posts. Guest blogging can also be effective if you can contribute content on an appropriate topic. 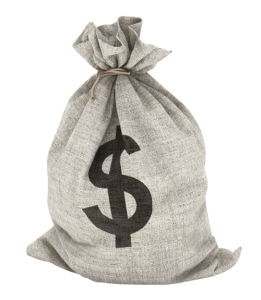 With .edu sites, a surefire way to snag links is to offer a scholarship, which is something a university’s shareholders would consider valuable. This tactic can be effective with both industry-specific and general scholarships. Take advantage of your alma mater connections and seek a link from your school’s alumni news section. Don’t forget to include any graduate schools you may have attended. 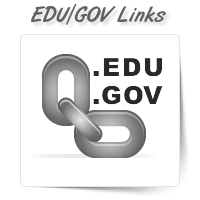 .Edu and .gov resource pages exist for the sole purpose of linking to other sources of content. Simply reach out to whoever runs these pages and request that your link be included. Increase your odds of getting links this way by searching for government and education sites related to your niche. Many businesses offer discounts for students. If this something your business does, search for .edu pages that list discounts. There’s usually a place on these pages where businesses that offer student discounts can submit their links. This technique is somewhat gray hat. It’s done by paying college students to create a blog on their school’s .edu domain so they can link back to your site. Websites from universities and government organizations aren’t inherently stingy with links. 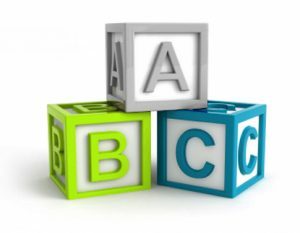 These domains also appreciate quality content that’s relevant to the type of information they tend to present. Using company or personnel online profiles for the purpose generating links is tricky. Some people think it’s a misleading tactic. 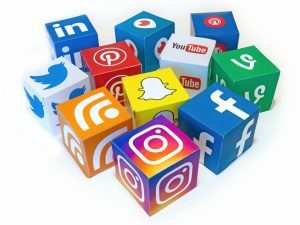 However, it’s possible to genuinely acquire social profile links in a way that’s not questionable with real profiles that share info about your business. Consider taking the following steps to acquire more social profile links. Social profiles that are only from a company are sometimes ignored by searchers. Instead, set up individual profiles for executives within your business. This way users will feel that your brand is being more personal, which works well for social media interactions. Most businesses opt for Facebook and LinkedIn as their preferred social media sites. But don’t overlook the potential with niche-specific platforms. Having profiles on lesser-known platforms within your industry can help you attract links from relevant sources. The main people behind a business often have personal social pages that can be sources of engaging content likely to inspire links. LinkedIn is a good platform to use for content sharing purposes like this. Because executives behind a brand often have more credibility, any links they suggest will likely be taken more seriously than links simply associated with a company. Don’t focus so much on asking influencers you follow socially within your industry for links. Instead, work on forming genuine relationships first. As these influencers and authorities begin to trust you, make requests to share links and content. With more than 2 billion active monthly users, Facebook is definitely a social network with a lot of link potential. Carefully targeted ads can get your content in front of the right Facebook users. You’ll likely see a good ROI since you’ll be placing your content in front of people likely to be interested in it. Not every social platform will be right for your business, but the ones you do use should be properly optimized to improve your visibility. If your optimization efforts extend to your social profiles, you could organically attract more inbound links from the content you present socially. Just because you reach a point where you have quality links doesn’t mean it will stay that way, especially since you can’t always carefully control which sites and sources link back to your content. An important part of your link building strategy is the steps you take to monitor your links. Doing so will allow you to spot and deal with potential link issues sooner rather than later. Here are some third party tools you can use to keep track of what’s going on with your links. 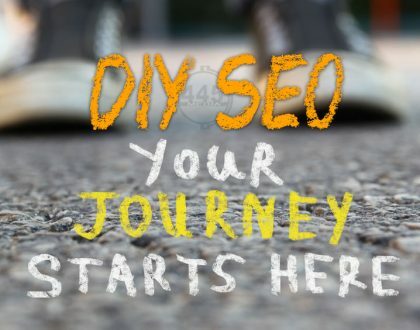 Ahrefs is an SEO tool that comes in handy for backlink indexing in real-time. In addition to getting details on the URLs pointing to your site, you can also use this tool to track things like referring content, anchor text, and link location on pages of the referring domains. 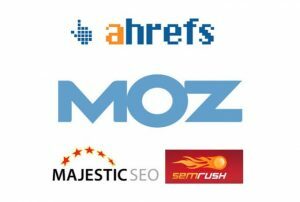 SEMrush is useful because it will show you a list of link building opportunities for various domains. There are also features that can help you to find new link sources and templates for sending messages to potential sources of links. All acquired links can also be tracked and monitored. MozRank quantifies link popularity by giving pages a “MozRank” (MozRank’s unique algorithm) to linking pages. Rank is based on the quantity and quality of links along with the overall popularity and influence of a site. Majestic’s Backlink Checker tools will give you an assortment of easily accessible details such as topical trust flow and citation flow. You’ll also be able to quick review backlink history and how many sites are linking to yours at any given moment. Backlink data is further broken down into three different graphs. If you are using links for various campaigns, you can use Google Analytics to track the results for individual links. Tracking the performance and quality of your links can also be a smart way to attract more links since searchers tend to gravitate towards relevant, well-performing link sources. No matter where you are with your link building efforts, the 445 Media team is here to help.